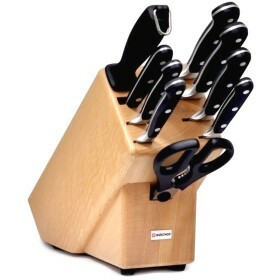 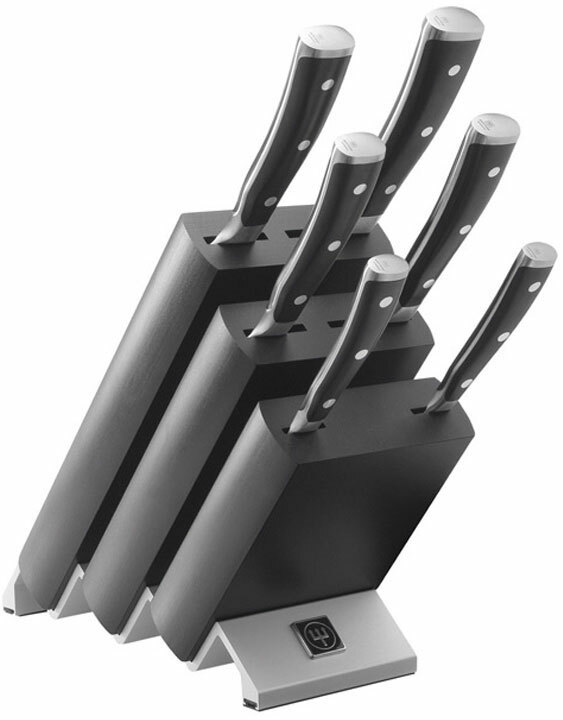 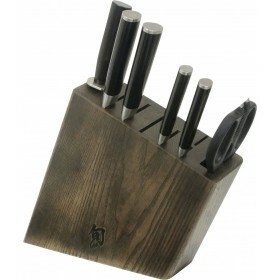 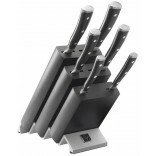 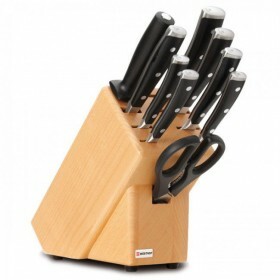 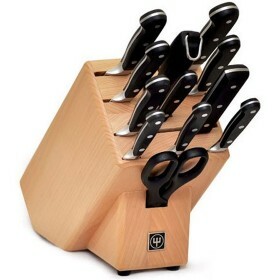 This black-lacquered, seven-piece knife block set is simply top-of-the-line. 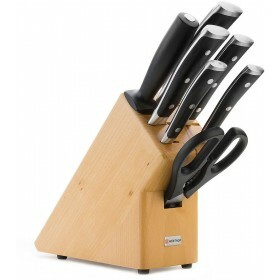 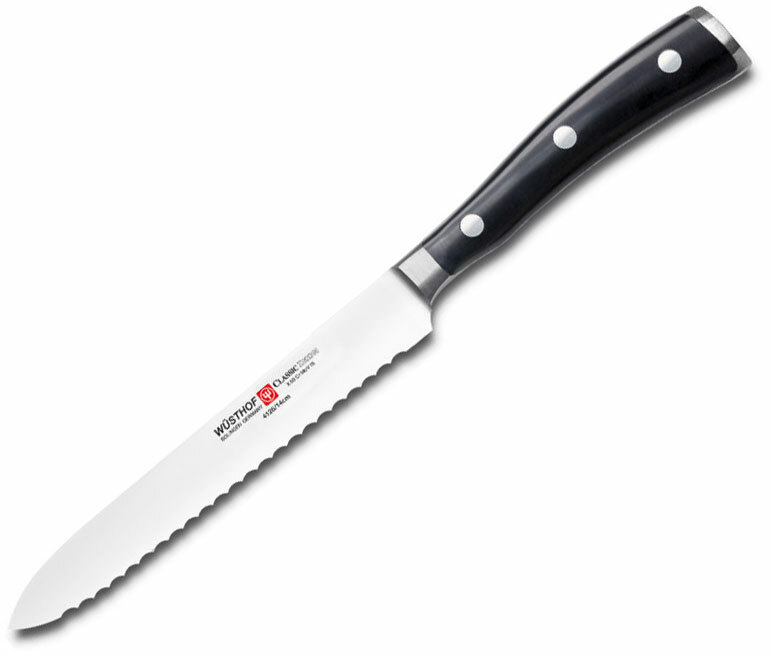 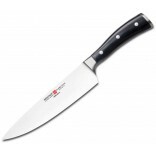 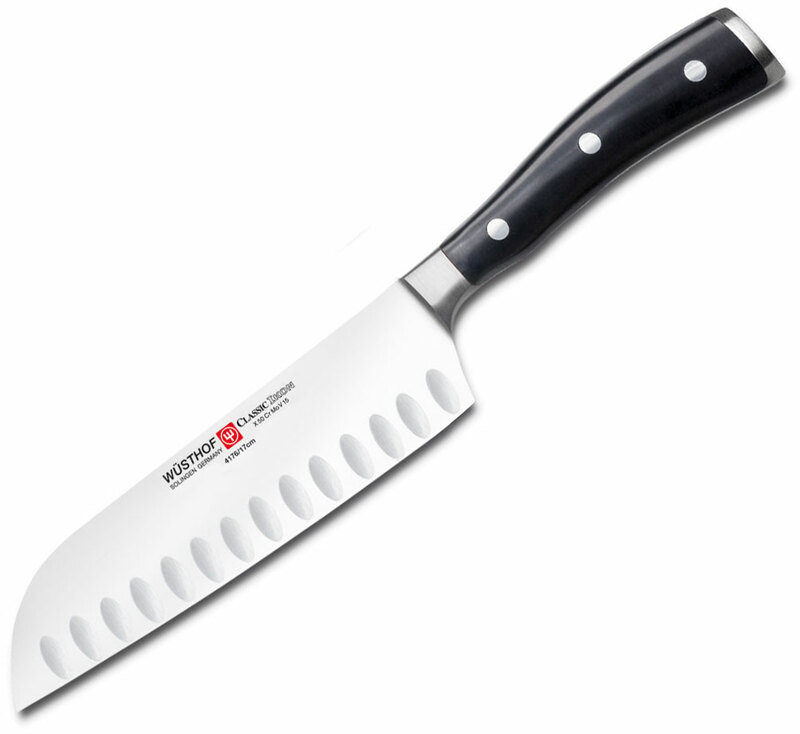 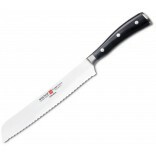 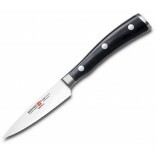 Full-tang, triple-riveted handles with an ergonomic shape. 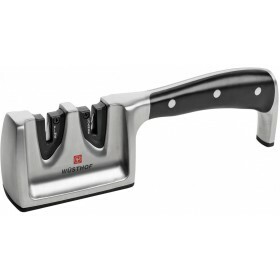 Half bolsters make it easy to sharpen all the way to the end of the blade. Another bolster at the end of each knife for added weight in the handle.